MANILA, Philippines - The official results, list of passers, top examinees and related important announcements for Principals' Test 2016 formerly known as NQESH conducted April 2017 are released by the Department of Education (DepEd) and National Educators Academy of the Philippines (NEAP) five (5) months after the date of exams. 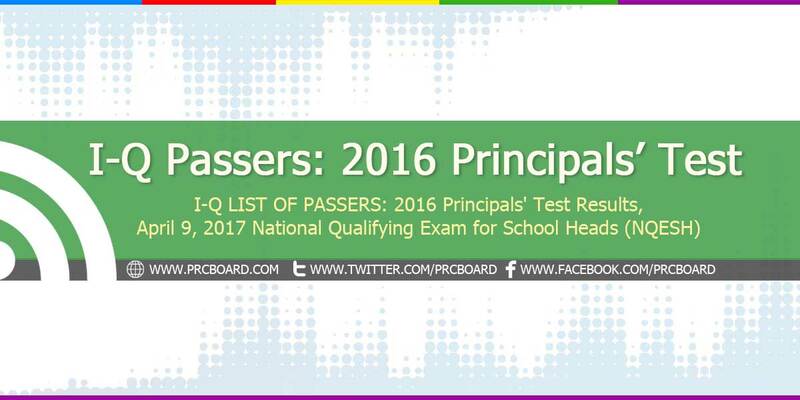 Below is the list of passers for 2016 Principals' Test with surnames starting with letter I to Q. 388 LNG DAW PO PASSERS OUT OF 17 455 TAKERS..
Neap,deped San na kau? result ibigay nyo nah,bat nyo kami pinapaasa?